Recently, I discovered the love of cruising, and after a cruise tour through Europe, I am on my first international cruise with Azamara Club Cruises on Azamara Quest. What an expedition to kick off my first trip for this year! What an AzAmazing adventure on Azamara Quest. I love this adventure, my home away home. I’m also so grateful for the wonderful introspection I’m discovering during my experience through Asia. 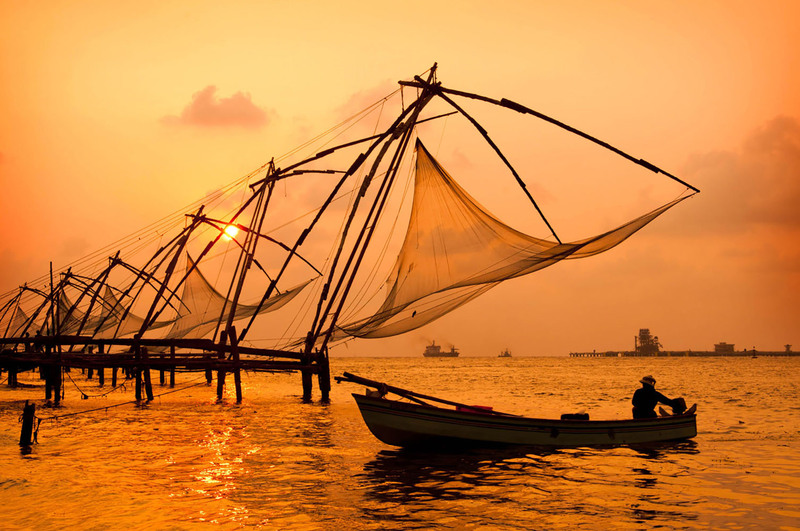 We landed in Cochin, in the province of Kerala, and departed by motorcoach, weaving our way through India’s streets. It was a great way to take in the flavors of the city as we drove to our boathouse excursion. The houseboat takes us on a journey unique to Kerala, where we get a glimpse of what happens in rural life. We wind our way through narrow canals lined with palm trees and greenery, and also tour open vistas over the Alappuzha river. Their houseboat is an amazing blend of Indian heritage (a thatched roof) and new technology (solar panels used for lighting! ), and was converted from a kettuvallam, a traditional boat that’s been used for hundreds of years in the region. After our cruise, we stopped along the way at the Marari Beach Resort for lunch and some leisure time in the tropics. What a beautiful resort! This trip through the waters of the Alappuzha on a traditional houseboat was extraordinary and memorable. The experience of my short tourist passage makes me wonder at how travelers passed through the same route hundreds of years ago, and if they saw a similar picture. Traveling always gives me the time and ability for self-reflection. This trip to Asia gives me a very different perspective, especially when I think of our lives in America, to consider. This has been my favorite excursion of this trip—so far. Ann Tran joined us onboard the Azamara Quest as a guest of Azamara Club Cruises. Click here to view similar Spice Route voyages.